Twenty years ago this month, WRAP was developed by an amazing group of peers in northern Vermont. WRAP’s 20th birthday has made me think a lot about my own WRAP and what it has meant to me in my own life. Of course, it has been absolutely thrilling to see WRAP spread all over the world and to get so much confirmation from people everywhere, people in all kinds of circumstances, and people with all kinds of issues, about how it has worked for them, and how it has given them the opportunity to move forward in their lives—something they never thought possible. This feedback, along with the findings of the many, many studies that have proven the power and effectiveness of WRAP, has kept me going. I remember clearly a cloudy afternoon back in March 1997. It must have been warm for March because my spouse, Ed, had gone to help my son Jerry make maple syrup and that only happens on warm March days (freezing at night, above freezing in the daytime). I had just gotten home from the last session where we put the finishing touches on WRAP. I was so intrigued by the whole concept that I decided to spend the afternoon developing my own personal WRAP. Step by step, I went through the whole process, starting with the Wellness Toolbox. I made a long list, which is actually short compared to the hundreds of items I have now (I gather them at WRAP groups and add them to my list if I think they will work for me), except for the Crisis Plan, which I left for another time. As I did this, I noticed I was thinking about myself and the various mental health issues I’ve dealt with over the years in a different way. Instead of being permanent fixtures in my life that define me as a person, I began to see them as limited and that, with all the Wellness Tools I had identified, there was bound to be one or several that would get me past whatever happened to be going on at the time. It was a full afternoon’s work—developing my Daily Maintenance Plan, so practical for me; thinking about my Triggers and what to do when they come up; really working hard on the Early Warning Signs that I had tried so hard to ignore in the past and thinking about what might relieve those; and then really puzzling over the When Things are Breaking Down section. It was a full afternoon’s work. Now, I recommend doing that work over a longer amount of time, but it worked for me that day. Little did I know what a momentous day that was for me. Right away, that evening, I started living my WRAP. I became much more aware of how I was feeling and what I was doing. If I was feeling uncomfortably irritated, I asked myself what I could do to move past that place. If I started feeling that deep dark place in my chest, I had options. I could let myself get entrenched, or I could use my Action Plans that were full of great Wellness Tools. In all these years, I have never veered from that new way of WRAP-based thinking. It was so powerful and effective for me. I had made small steps in my recovery before, but this was exponentially huge. My spouse noticed it. My family members noticed it. My friends noticed it. Now, I hardly ever get to that “Going to Hell in a Handbasket” place because I am so, so careful to use the other parts of my WRAP and to have everything easily available so I can do what I need to for myself. But if things within myself, my life, or the world bring me even close to that place these days, I know just what I need to do to pull myself out, and I have done it. Not with ease—it’s hard—but I have done it. Not so many years ago, I was diagnosed as mentally ill, as being bipolar along with several other nefarious diagnoses. I was told that I was born that way, that it was inherited. I was told that it would get worse over time, that I would never be able to take care of myself, own a home, complete my education…. The list went on and on. Now, I’m 76 and retired. I own a home. I’ve owned several since those predictions were made. I have a doctorate degree. I’ve had a successful career. I’ve been married for more than 20 years, and I have a wonderful family and many, many close friends. In that time, I must admit, I’ve been in many mental hospitals and on many mental health units, but never as a patient—always to teach people about wellness, recovery, and WRAP. 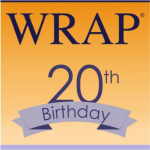 You’re Invited to WRAP’s 20th Birthday Party! 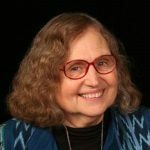 Birthday Celebration Webinar on April 14 at 12:30 p.m. ET. On this webinar, moderated by Advocates for Human Potential’s WRAP Project Manager Kristen King, we will talk about WRAP’s earliest days with a mini “throwback” WRAP workshop like the first one ever delivered back in 1997. We will also talk about WRAP’s present as an evidence-based practice, and some of the exciting ways people are using WRAP. This webinar is free and open to the public. I hope you will join us.